Forlife advanced coolant is a uniquely formulated *aqueous (*contains water) solution comprising mono-ethylene glycol, sodium benzoate, borax, sodium nitrite, to provide exceptionally high heat transfer from engine to coolant and lower engine running temperature. Suitable for all traditional ethylene glycol / IAT coolant systems. 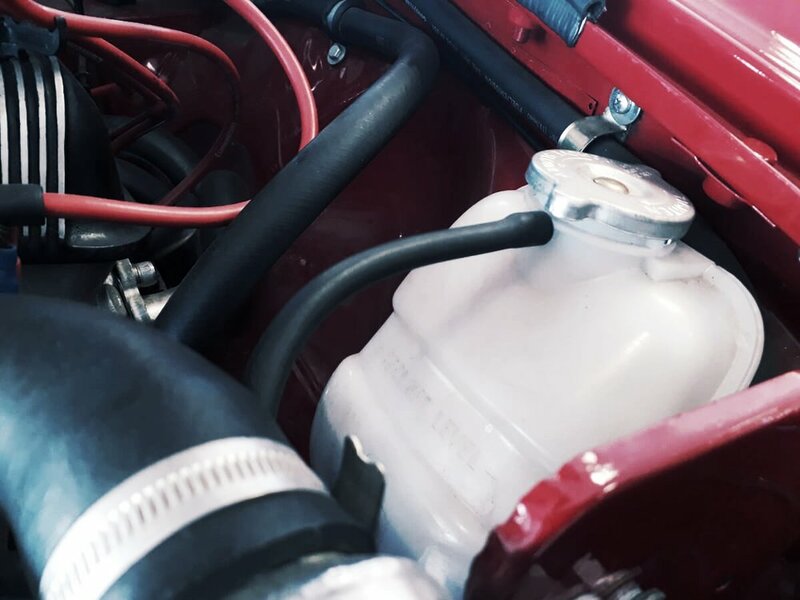 Forlifes’ low viscosity enables fast circulation throughout the engine cooling system via the vehicles’ standard water pump, thereby quickly transferring engine heat to the coolant. Forlife contains anti-foam agent to prevent engine hot-spots. Forlife noticeably reduces engine running temperature in all conditions. Forlife’s high boiling point to a maximum of +180C provides an extra safety margin in the event of cooling system component failure. Forlife freezing point at minus-42C. Forlife corrosion inhibitors provide protection to iron, brass, copper and aluminium components. Forlife is PH balanced with no acidic impurities. Forlife RED in colour and contains PH colour indicator. PH solution 7.0 – 8.7 “Liquid Litmus”. Colour changes to Yellow in the event of head gasket failure. After rectification reuse coolant and top up until it reverts to Red colour. Forlife is Non-flammable and does not ignite. Forlife service life remains effective for at least 10 years.